Whenever unpopular decisions are made at Carnival Cruise Line, perhaps no pair of feet are held to the fire quite like Brand Ambassador John Heald. And he has certainly seen his Facebook page blow-up since first it was announced that Carnival would switch to an a la carte menu for all room service orders other than the continental breakfast, which remains free. Unfortunately, some of those voicing their opinions on the matter have chosen to lash out at Heald in extremely negative and hurtful ways. In addressing some of the particularly aggressive nasty comments being left, the always-jovial Heald did his best to remain above the fray. 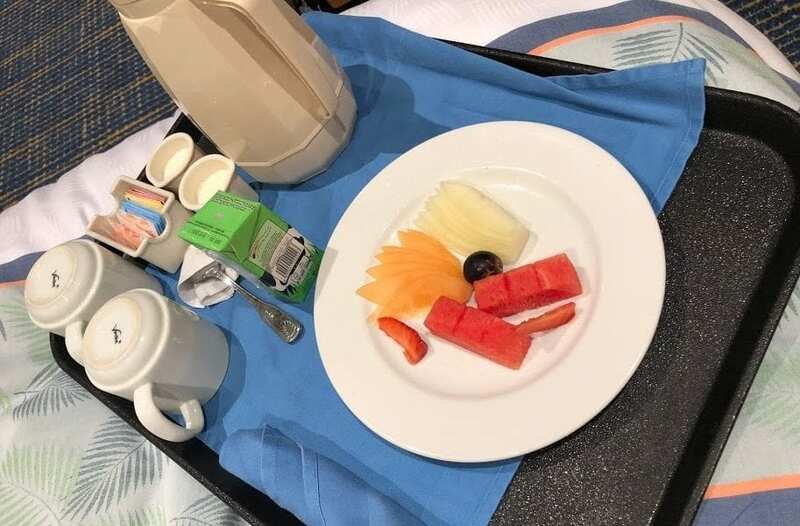 “I know some of you are disappointed in me that there are now charges for room service (continental breakfast remains complimentary) and some are angry at me even,” he wrote. “I understand and I am listening and I will return to answer all your comments and questions… on Monday. I promise to listen and make sure the beards know your thoughts. A lot of response to the announcement on John Heald’s Facebook page. The continental breakfast remains free. It’s important to remember that at the end of the day, we’re talking about a change being made to a menu. This is not the stuff of life and death, but rather whether or not to splurge by spending a few bucks to satisfy that late-night craving for chicken wings. Of course, whenever cruise lines announce changes which involve passengers having to pay more for something, people tend to react badly. Whether it’s an increase in the daily gratuity rate or charging more for the drink package, it’s human nature to be unhappy about having to pay more, especially if the other side of the equation involves getting less. However, to launch personal attacks against the closest thing one has to an advocate is short-sighted at best. It’s pretty much the definition of cutting off your nose to spite your face. (This is especially true when one takes into account that Heald doesn’t actually make these decisions, but rather serves as the middleman between the corporate execs — or beards, as he dubs them — and the passengers.) Carnival cruisers are incredibly fortunate to have someone like Heald, who spends an extraordinary amount of time responding to questions and handling personal requests. More importantly, via his social media interactions, he provides a level of customer interaction offered by few businesses in general, and certainly no other cruise line.